"we cannot reduce the electron to numbers." Do you agree that the physical world is well described by quantum mechanics? Well, if you do, then you will agree that the quantum state of the universe is given by an element of a separable complex Hilbert space. But any infinite dimensional separable complex Hilbert space is unitarily equivalent to l^2, so the quantum state of the universe (and thus the state of any electron) can be represented by a list of complex numbers. I agree that quantum mechanics well describes electron observations, and that all those Hilbert spaces are equivalent to l^2. But if that were the whole story, why do people keep looking for hidden variables? 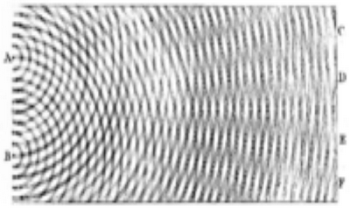 Perhaps both electrons in a helium atom can be properly jointly represented by a wave function, but each individual electron cannot be. "But if that were the whole story, why do people keep looking for hidden variables?" "Perhaps both electrons in a helium atom can be properly jointly represented by a wave function, but each individual electron cannot be." Actually it can. 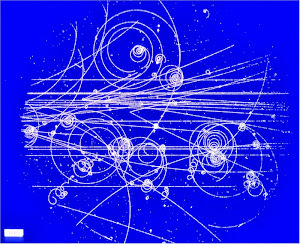 It's not possible to solve Schrodinger's equation analytically in the case of a helium atom, but we can find the approximate wavefunction of one of the electrons. The answer is given on p.212 of Griffiths' book. Reality as some kind of a mathematical structure was hinted at by many scientists before Tegmark, like Conway, Wolfram, Wheeler and others. Tegmark just worded the idea in a very bold and direct way. The traditional view that reality is some "physical" substance (or some unknown something)has impossible implication. where did this substance come from and where does it reside? and both create a perpetual paradox. a mathematical structure like a circle does not need more elementary construct or a place to reside, so is our reality. If nothing existed where would mathematical facts exist, I don't know why people have a hard time with this question which has a very obvious answer. the structure that leads to our reality is random numbers and certain unavoidable relations(and only possible ones) between them. that is all. It is the only dynamic design possible with fundamental entities, all other designs lead to a static or quasi-static.